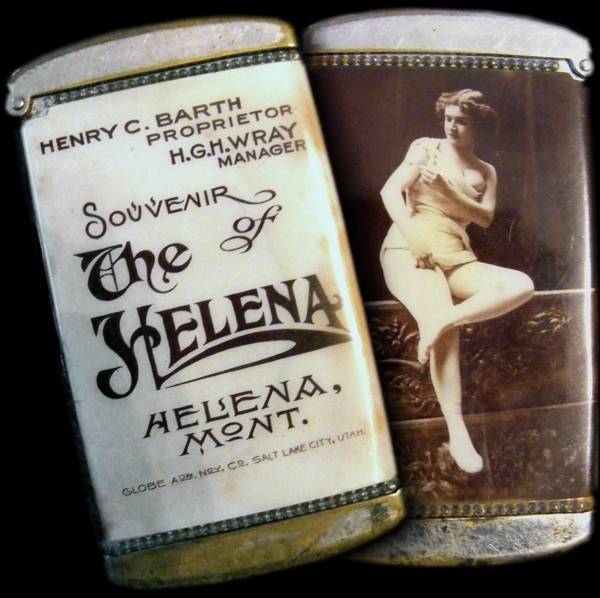 The Hotel Helena, 114 Grand St. Built in 1889 by Dr. Charles Knox Cole (1852-1920) and William Y. Simonton (1837-1905), the Hotel Helena was a solid five-story brick building in the heart of downtown. It was located on Grand Street, which connected Jackson St. with North Warren. Grand Street and all the formidable Victorian buildings on it were demolished in the 1970s during "Urban Renewal". 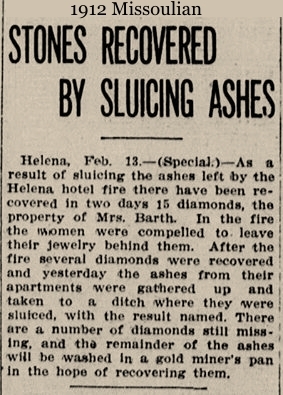 The Hotel Helena was damaged by a fire in 1912, but the walls were strong and it was possible to rebuild within them. The building was remade into apartments -- the Helena Apartments --and remained so until it was demolished in 1972. Your host lived on the fifth floor of this building in 1969-70. It was quite serviceable then, and would no doubt be a coveted address today. 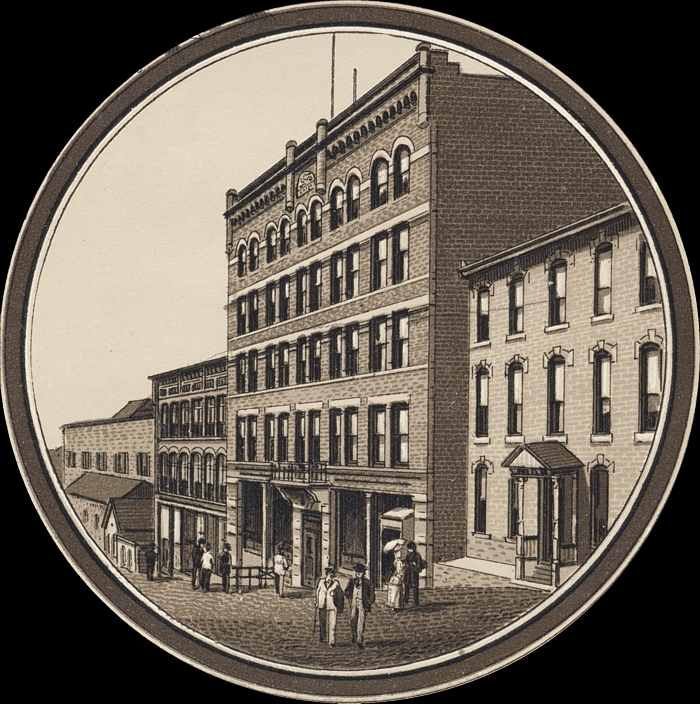 Location of The Hotel Helena and Grand St.
Samuel Clemens, "Mark Twain" (1835-1910), stayed at the Hotel Helena during his 1895 international speaking tour. 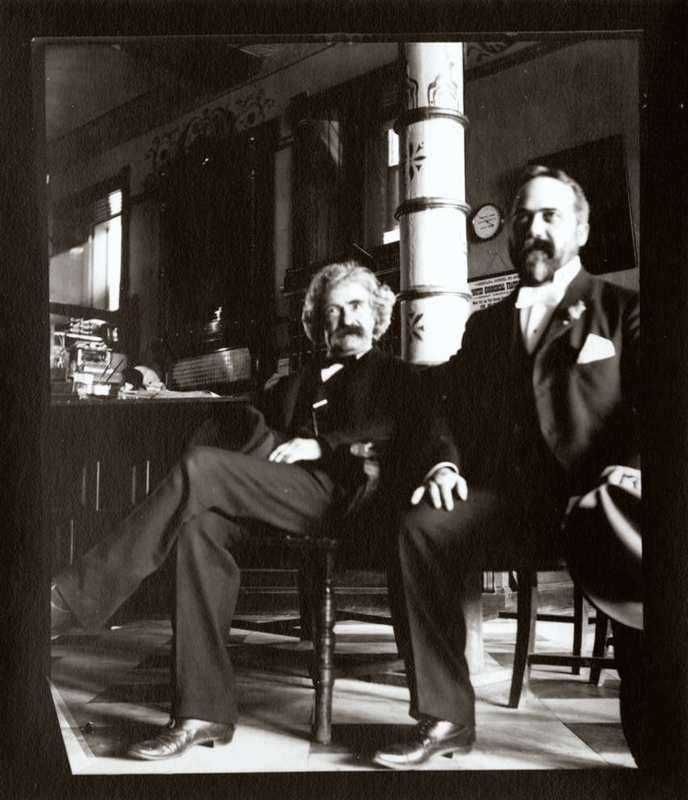 The photograph above shows Clemens and local physician Dr. Charles Knox Cole (1852-1920) in the lobby of the Hotel Helena, August 4, 1895. 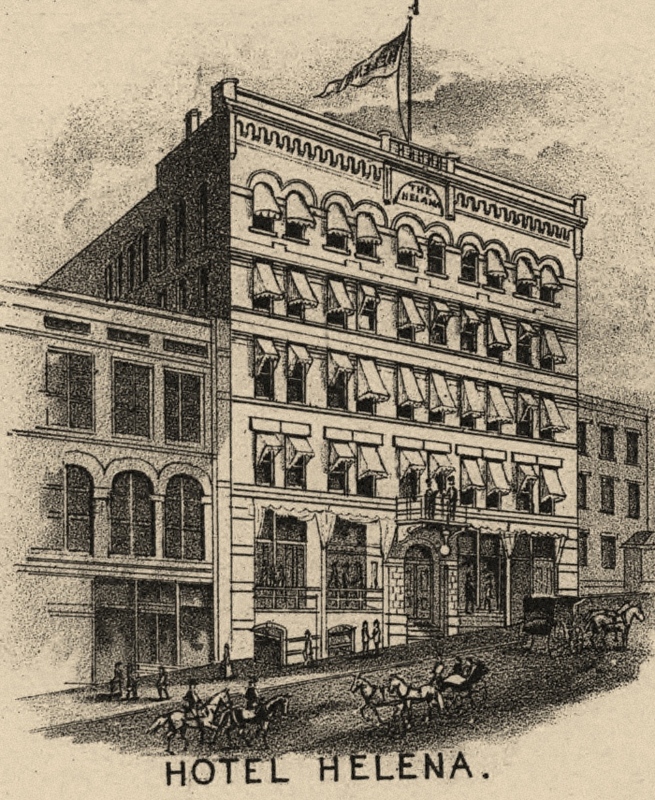 Clemens spoke at the nearby Ming Opera House on Jackson Street. Portions of the Ming auditorium still exist as part of the Consistory Shrine Temple. He also mingled with local movers and shakers at the Montana Club. 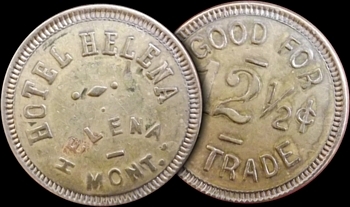 For an account of Twain's Helena appearance, plus other stops in Montana and elsewhere on the 1895 tour, please visit this excellent site. Henry C. Barth (1871-1952) was a long-time proprietor of the Hotel Helena, overseeing conversion of the building into apartments after the 1912 fire. "The American Plan" referred to in the ad means that the quoted rate includes three meals a day, provided by the hotel dining room. 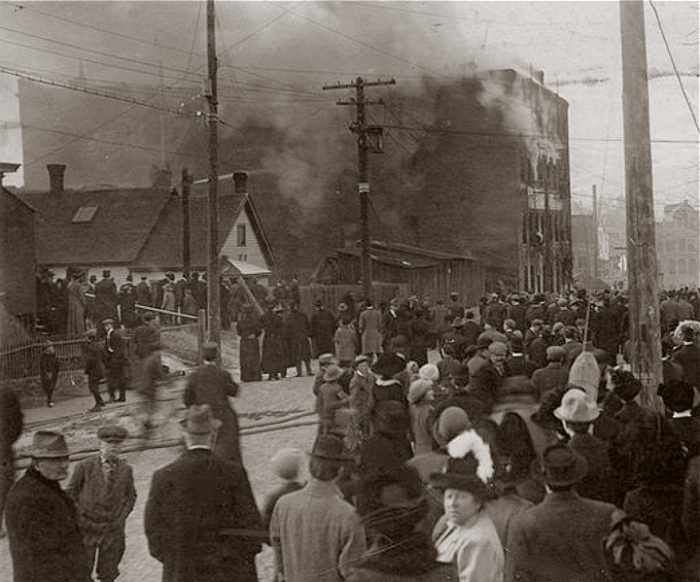 A view of the February 1912 fire, taken from Main St. On the left is the Securities Building, still standing today. On the right is a corner of the Thompson Block, which would be demolished in 1914 to make way for the Placer Hotel. 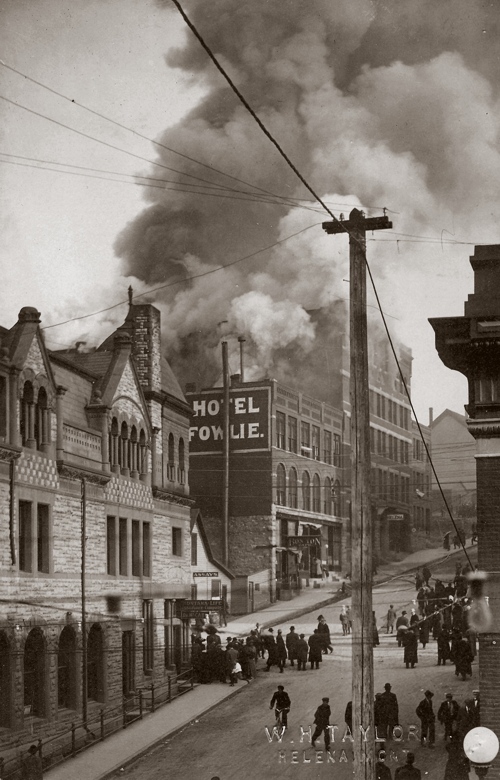 The Hotel Fowlie at 108 Grand would later become the "Helena Hotel", but it had no connection with the Hotel Helena. That building was also demolished during Urban Renewal. 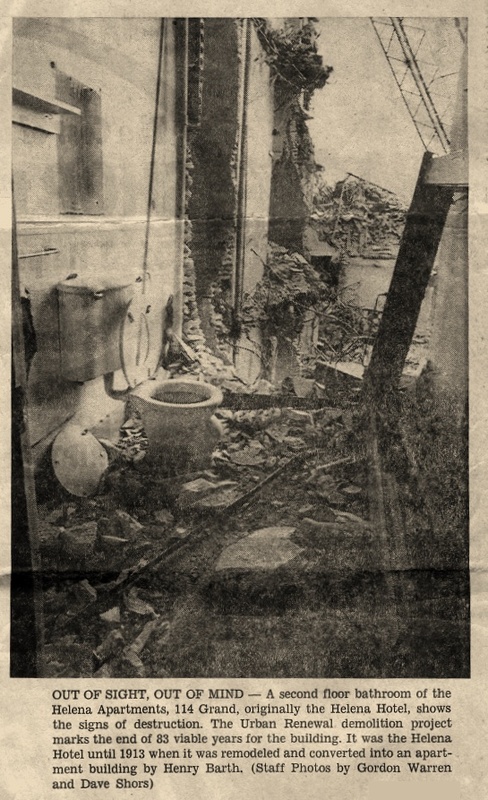 Available online newspaper archives show nothing for a Hotel Fowlie, although there was a prominent Fowlie family in the White Sulpher Springs area. 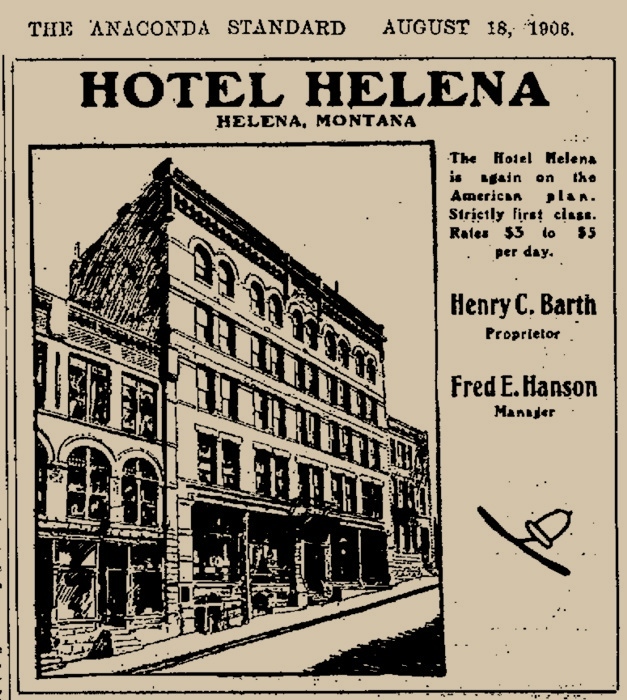 Henry C. Barth (1871-1952) operated the hotel/apartments until 1917, when he sold to Kate Crehan (1864-1929), who previously operated the Montana Hotel in Billings. Crehan sold to Rose Foster (1879-1955) in 1928. Foster was the daughter of Mr. & Mrs. Ernest Kranich, who owned Central Park, an amusement park west of Helena. She had operated hotels in Craig, Augusta and Gilman. Foster sold out and retired about 1945.